Writing good page titles is essential for anyone who’s into SEO. There are two goals that a good page title must achieve: It must help you rank for a keyword and also make the user want to click to your page. The meta title or the title tag is the first thing a user notices in the search results. It’s also one of the most important factors Google uses to decide what the topic of a page is. Meta titles appear in 3 important places: Browser, search engines and external websites. Google uses the CTR (click-through rate) to determine the relevance of your webpage. If your CTR is too low according to Google standards, your rankings will drop. The opposite is also true. A title that gets people to click will also help you rank better. Depending on the title tag used, Google crawls and indexes your pages. Pages with no-index tag will not be added to Google search. To rank higher in search engines, only index the vital parts of your blog/website. 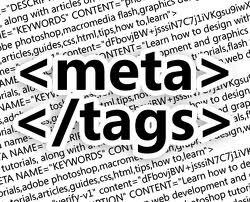 Diligently optimized meta titles can increase website traffic. They also play a significant role in the SERP rankings of a website. So it is of great importance to optimize the meta titles. But how is it done? The length of a meta-title should be ideally 50-60 characters. Google’s policy limits its length to 512 pixels, so longer tags will get slashed from the search result. You must make use of relevant keywords while forming an effective title. Keep in mind to refrain from stuffing keywords. This will create a negative impact and soon your webpage will lack relevance in the SERP. It would be pushed to the 3rd or 4th page of the Google search results. Duplicating titles is not a good idea as they may erase out the unique and relevant keywords. You should place your brand’s name at the end of the page title, if your brand is not that well known. Otherwise, it is always advised to place it first. A title tag that is relevant and also visually appealing prompts the user to click the link. So readability is to be kept in mind while deciding the title tag. Including details like local cities, state, etc. will increase the local relevance in the search results. Meta description is a short preview of the content present in a website. They are HTML attributes used in SERPs that give users a short preview of the particular site they have searched for. Meta descriptions are only viewable to the robots within the source code. 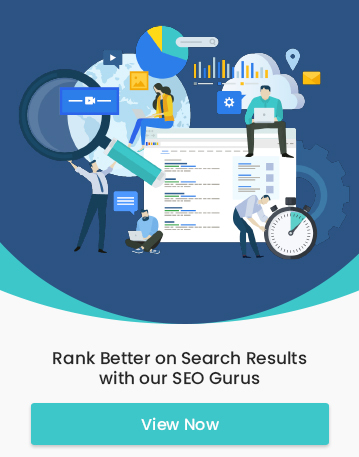 Similar to meta title, meta description too will have to be compelling and appealing to provide relevant information to the user and prompt them to click the desired link. Since meta descriptions are lengthy and are not displayed completely in the search result. Moreover, they don’t give a clear picture of the relevant content that the landing page carries. You must provide content that is readable, informative and unique from other descriptions present in the SERPs. The beginning of a meta description should invoke an action verb, followed by call-to-action that must tempt visitors to click. Use as many keywords as you can, taking care not to make them look stuffed. Also avoid duplicates. Google identifies quotes, hyphens etc. in description content as HTML code. So avoid using them to prevent slashing out of the description from the SERP. The future of content marketing is here!